A new Maltese mom needs lots of nutrition to support her babies. As a human parent to a Maltese, you understand the mother-child bond. After all, you share it with your own furry child. So if your little furbaby becomes a furmommy, you want to ensure she has the best care and nutrition for her evolving needs, including recovery and nursing. 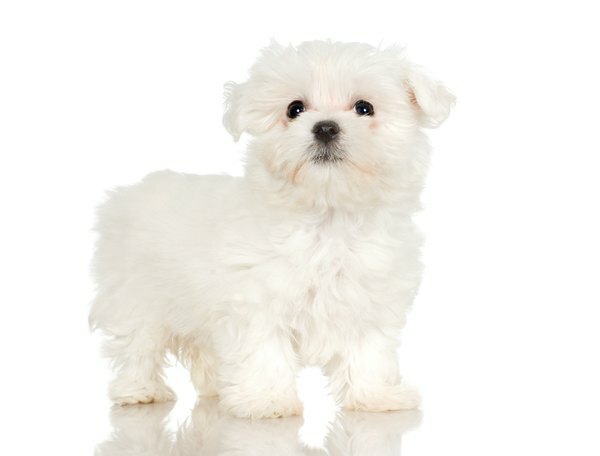 During her pregnancy, the Maltese mom-to-be needs extra calories to help support the growth of her pups. After the little bundles of joy are born and mom's milk starts coming in, she continues to need extra calories. Depending on how many little ones she had, her calorie needs will be at least 1.25 times her normal needs before pregnancy. If her litter was large, she may need three to four times more calories by the time the pups are 3 weeks old. First, talk with your veterinary health care provider about what your little mama needs throughout pregnancy and after puppy-birth. Together, you can pinpoint how many calories she will require to get her through the post-birth stage. Next, use her normal calorie requirement to figure out how many extra calories she needs after giving birth. 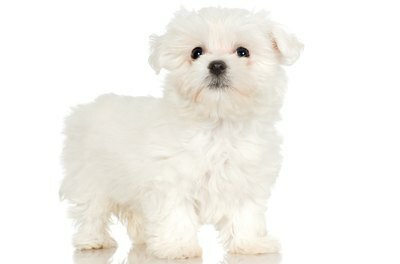 An average 5-pound maltese needs about 245 calories per day under nonpregnancy conditions. This can vary depending on age, activity level and other factors. Once you know how many calories she needs under regular circumstances, use that number to calculate her needs after the babies are born. Using an average weight of 5 pounds and a normal calorie requirement of 245 daily calories, multiply this by at least 1.25, for a total of 306 calories. This is the minimum she needs after giving birth. However, as noted she may need three to four times the normal number of calories. To help reach the calorie requirement, you may add extra meals to the daily feeding schedule. For example, if she usually eats twice a day, you might feed her four times a day. Splitting up meals ensures she is eating extra calories, but it prevents her from getting overstuffed at each meal. The last thing your new mommy baby needs is an upset tummy. Offering extra calories, nutrition and love will help see your little friend through this critical stage, and will help create a healthy doggie family.